To read about the trip's adventures so far and to see some pictures, click on "Where We Are Now," "Intracoastal Waterway," or "In the Caribbean" above. 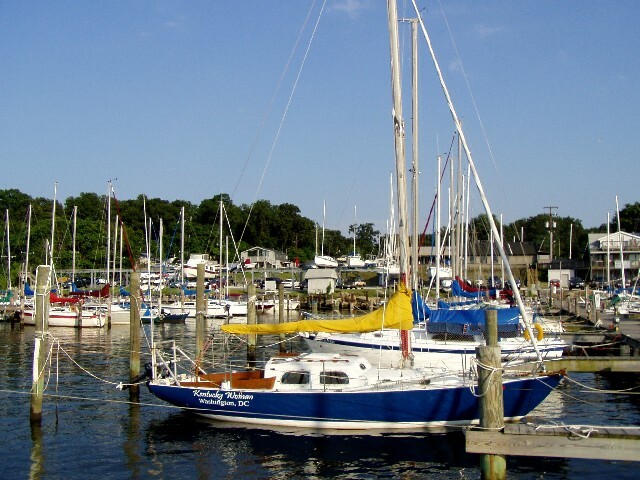 The boat is docked in Pasadena, MD. We just finished painting the hull and replacing the windows. Predeparture...In the months before we go, there are endless preparations to make: painting, electrical work, purchasing equipment and supplies, fixing boat windows and doors, moving out of apartments, ending our jobs, mentally preparing to separate from friends and family and life on land, and much more. We planned to leave on July 20th, which was pushed back a week, and then another two weeks. So, our new and final departure date (we hope!) is August 6th! 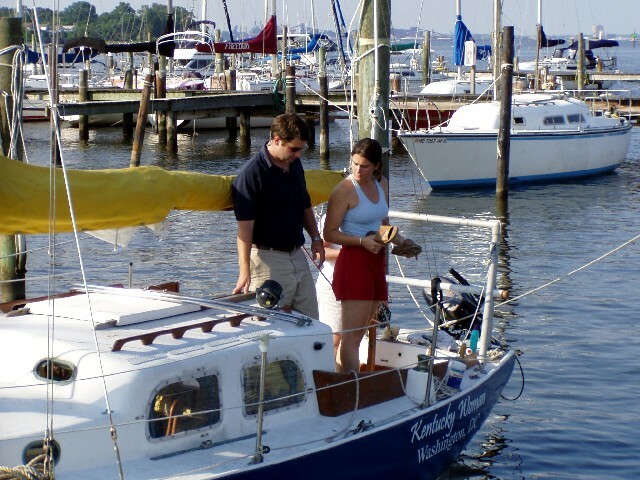 One of our many days spent working on the boat. ...understanding that this, along with many other things, will not go exactly as expected! 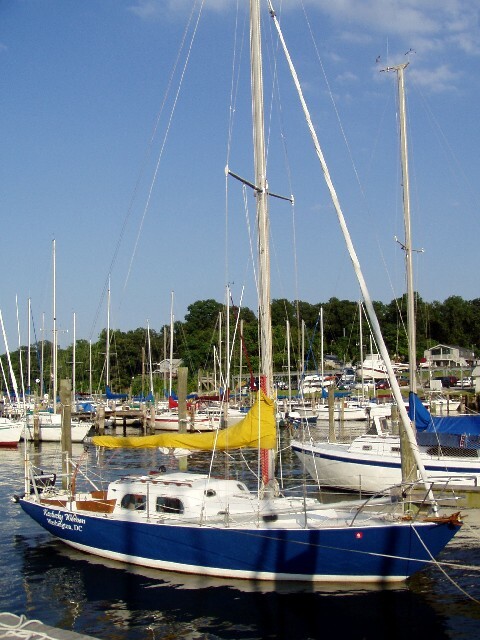 Actually, for the the first part of our trip, we will be going from Pasadena, MD (near Baltimore) up the east coast. We think we'll make it at least to Maine, and maybe even all the way up to Novia Scotia. After stopping to meet up with friends and family on the way up north, taking our time so we escape hurricane season in the Caribbean, we'll start heading back down south (probably mid-October.) 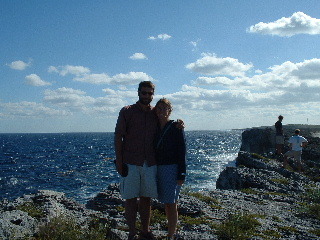 Instead of retracing our path, we'll cut out into open waters to do our first long offshore passage to Bermuda. After arriving, we'll rest and relax there before heading south and connecting with the planned route you see above. Click here to post your comments! Click here to check the marine weather forecast. 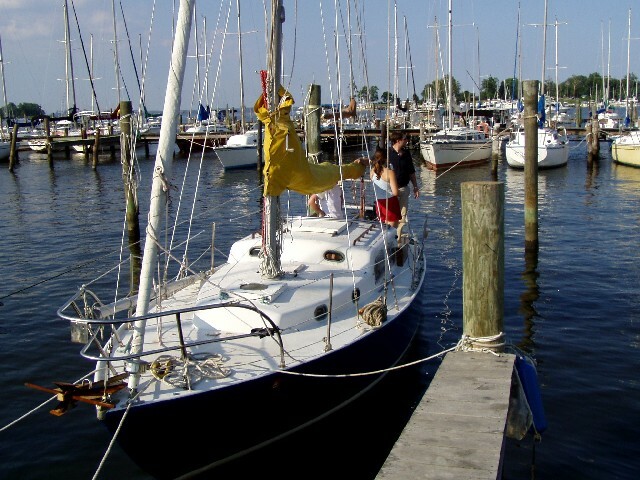 Click here to go to Sailnet, a great resource for any sailing questions you might have.